Arts GroupsSmall groups for HopeArtists. 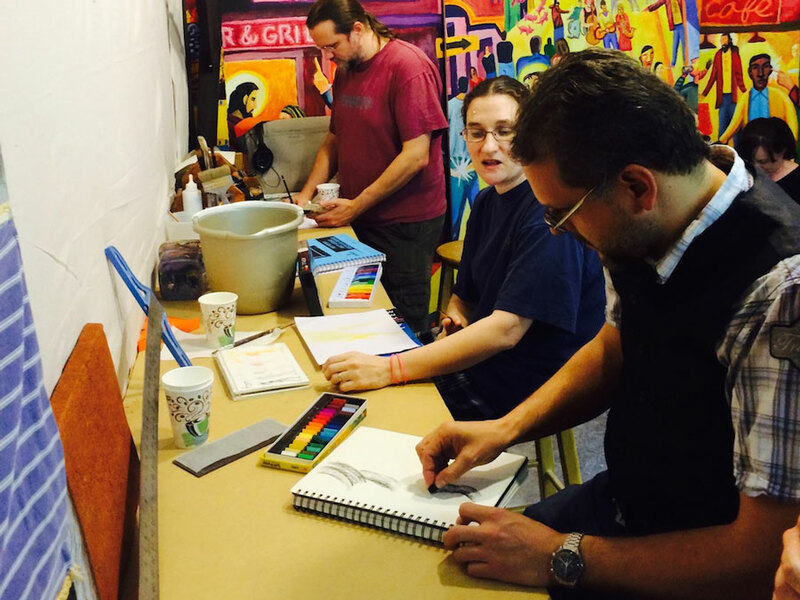 Some of these Arts Groups are meeting in homes, others at the church. To join one or learn more, get in touch with the group's listed contact. The HAWG Facebook group is a near-daily updated forum of discussion topics on the writing craft, as well as news from the writing world, weekly writing prompts, random editorial advice, and lively banter. The members of the writers group are focused on sharing their writing. Any genre welcome. The common ground is a commitment to write something at least weekly, to share your writing (not necessarily weekly) and support other word-smiths in community. After a brief “check in” with each other and a short time of prayer, we adjourn to the HopeArts studio space and get to work either collaboratively or individually.